Is Jakarta’s Great Sea Wall Just a Pipe Dream? Lagged budget disbursement pushed back the construction of a giant sea wall in Jakarta, which was expected to be finished by April 2018. 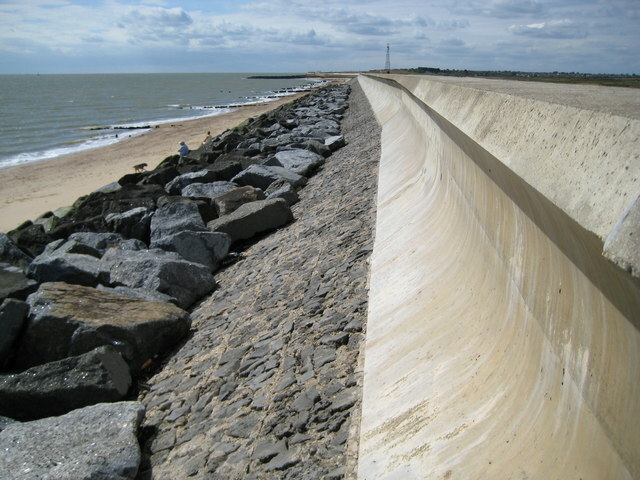 Two years after the project’s inception, reports indicate the initial work on the “Great Sea Wall” is only 4 percent complete. Home to more than 10 million people and recognized as the economic, political and cultural centre of Indonesia, the sprawling metropolis of Jakarta is the largest city in Southeast Asia—and it’s sinking. The capital of the Emerald of the Equator lies on a low flat basin 23 feet above sea level. 40 percent of that, however, particularly the northern areas, is below sea level. Given the continuous groundwater extraction and the pressure of skyscraper developments, it is no surprise that Jakarta is sinking at 7.5 to 15 centimetres per year. 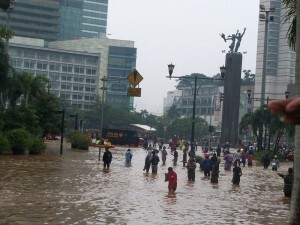 Flooding in Jakarta can be attributed to the region’s recurring monsoon season, the lack of proper water management and the obvious overpopulation. The city’s flood problem results in as much as a 30 percent national economic loss each year, as employees are unable to report to work, goods are not distributed timely and trades practically come to a halt. In the bigger picture, industries suffer losses in the trillions of rupiah each year, routinely giving the country bad press among foreign investors. The national government and economic experts have long struggled to come up with a resolution for the problem. 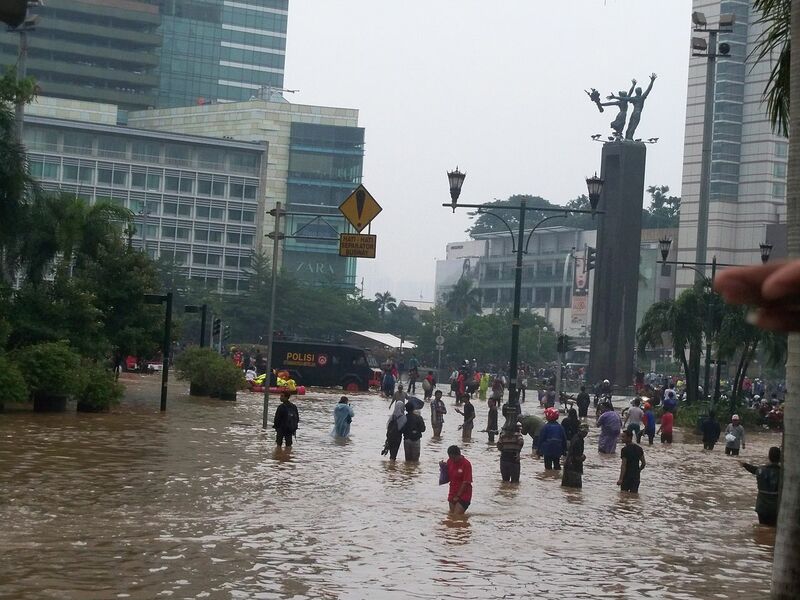 Back in 2013, President Joko Widodo, who was then governor of Jakarta, proposed a six-step plan to solve the flooding dilemma. These steps included the relocation of people living on the riverbanks, repair of the canal, building of reservoirs and installation of pumps. Later in 2014, Widodo met with city officials and ministers to endorse an ambitious plan that had long been on the drawing board: the construction of a garuda-shaped Great Sea Wall. Part of the National Capital Integrated Coastal Development master plan, the two-step Great Sea Wall project would highlight the ongoing construction of a US$2 billion, 32-kilometre wall behind an existing wall that is slowly being eaten up by the sea. Estimated to be complete in 2018, this first phase would make way for new pumping stations and help raise the levels of the city’s riverbank dikes. The plan also called for urban development and the rise of a “Waterfront City” replete with hotels, luxury housing and office towers atop the seawall complex to make it more attractive for private investors. The private sector would play an integral role in financing this US$40 billion mega-structure, which is supposed to include 17 artificial islands complete with toll roads, a seaport and a railway. If the project ever came to reality, Jakarta Bay would become a water reservoir enclosed in the Giant Sea Wall and would eventually become a source for clean water for the entire city. Prior to that, the city would also need to build and implement water purification and treatment plans. In theory, this would stop the bay from being contaminated by rivers and canals. Even though the project is way behind schedule, the people in charge are still optimistic. Head of Water Management Agency Teguh Hendrawan said his department will hire more workers and increase working hours to catch up with the schedule. Governor Ahok has expressed doubts about the project. “Flushing the mud will be very problematic,” Ahok said to an audience of hydrologists. He added that the master plan would have to also face the challenge of corruption in the country head-on. This would be tricky, as it has been recognized as one of Indonesia’s biggest-ever infrastructure projects.